Storage outlet has provided an amazing experience for me. April the manager and her assistant De Lacey provided me with outstanding customer service in my time of need for a storage unit. They have made it a great experience for me in one of my roughest time's . definitely will recommend my Friends and family! April and De Lacey at storage outlet in Pomona were very helpful and also gave a tour of the property. They gave me all the prices and facility and bathroom was very well up kept . They kept a smile on my face very energetic. I will definitely recommend my friends and family to rent here. This is our second time using Storage outlet and we couldn't be happier! The manager April and co manager De Lacey are very helpful and professional. The facility is very clean and well maintained. April is very nice an helpful and answers all our questions great customer service we r glad we rented here. I love Storage Outlet in Pomona. I always receive friendly and professional customer service, especially from the management Maricella. I've had my storage unit for years and I would recommend them to everyone! Both April and De Lacey are very helpful and a pleasure to talk with! Great job Pomona Storage Outlet! Excelent customer service . April and de lacey . Keep up the great work girls . I can not say enough good things about the service and professionalism of this storage business. April, the stellar property manager, is on top of her game and well-aided by DeLacey, the office manager. My husband and I have been leasing units for more than 8 years and have been 100% satisfied! 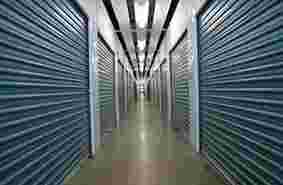 There are many storage unit providers in the area - but you will not find a better one. I recommend them without any hesitation. Excellent value, professional dealings and exceptional customer service. Thank you Self Storage-Pomona! Awesome storage facility. All one level drive up units. The best part is the friendly and helpful staff, especially De Lacey Acosta. Awesone staff!! 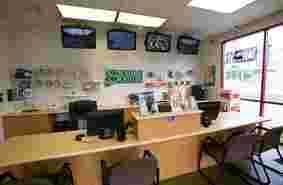 Friendly and always ready to help make your day easier and just that much smoother for you. I find myself sotpping by and saying hello from time to time even though i dont have a storage anymore. It's a very professional team that are always willing to help. Came to Storage Outlet Pomona as a first time storage unit renter and I must say, I've never received customer service as wonderful as this place. The managers were very friendly and efficient. I was able to tour the facility and check out some different size units. When I decided on which unit I wanted, the leasing process was less than 15 minutes. Overall, I had a great first time experience, I highly recommend this storage unit facility. We have trusted Storage Outlet Pomona Self Storage with all our belongings. This facility is clean and secure. The staff is professional and polite every time we see them. Thank you April and De Lacey! April and De Lacey are very nice and have great customer service. They are awesome. The access hours work perfect for me and price is affordable. Stephanie was very professional and efficient! I had reserved the wrong size storage unit and she had no problem helping me find the right one. Paperwork was easy and the prices are not bad. I would definitely recommend this business. April very knowledgeable and cares about her customers. Very affordable pricing. De Lacey was absolutely amazing! She's so nice and thoughtful! I myself work in customer service so I know great service when I see it and this girl was truly amazing! Not only did she take the time to explain my storage package I was getting but she explained all the amazing features this unit will have. Extremely clean and great service! 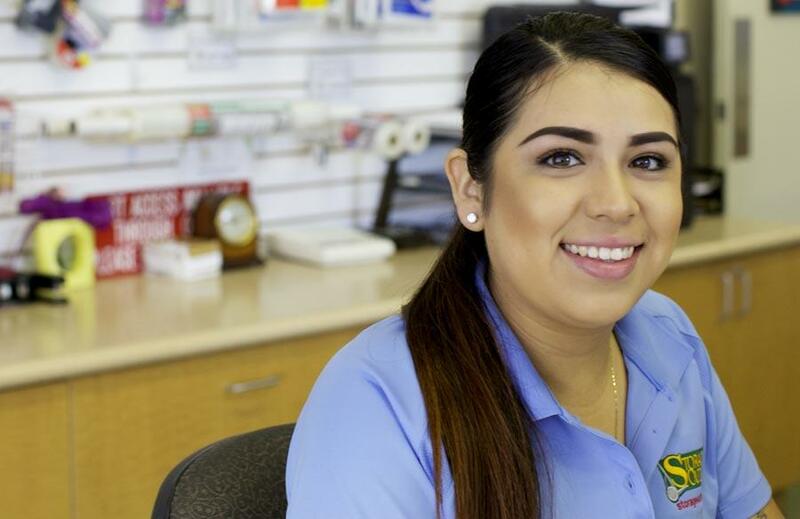 April Velez - Store Manager, is truly outstanding. She followed thru to completion and very thorough and professional handling the business. Offered a great price, showed me the rental unit, and completed the paperwork very efficiently. Everything handled in 15 minutes! Very impressed and highly recommend to anyone interested. This is my girlfriend's second time renting, here and we received excellent service. The managers were there to greet us with a smile right as we opened the door, and remembered us by our names. We are back because the managers provide excellent service and I know our items are safe. The Manager April is so funny and always leave me and my girlfriend with a smile on our face or a good laugh. Access hours are great and work around my work schedule. Great and safe place. I came with my grandmother and my mother and I feel very safe here. I know my items will be kept nice and safe. April Velez the Propertyerty Manager is very knowledgeable in storage. She is great and I have to say we will probably just stop in to say hi! April is the best!! From the start she was very nice and helpful! This was a breeze Thank You April !!! You made this very easy, and we are going to be recommending you to friends and family!! I came to Storage Outlet in Pomona to store my belongings. I was met April the property manager and her partner Juan . Right off the bat I came in and it was great. I will definitely refer my family and friends to this property. April and Juan do a great job! Great customer service and a very clean and secure property five stars I would give them 10 if I could. Very nice place. Called in yesterday to ask about pricing and availability. The attendant Alex was very professional and courteous. Took the time to answer my questions. Good customer service is rare now a days. Thank you Outlet Storage I will be in to rent my unit next month! Called earlier during the afternoon to get prices on a large storage space The customer service representative Alex was very friendly nice professional he took the time to answer My questions And concerns unfortunately there was no large spaces available for rent which is understandable the reason why I am leaving a 5 star review is because I want to thank alex for the great customer service he provided me!! I feel that my belongings are safe at the Pomona facility. I appreciate the friendly staff there and they are so helpful. The facility itself is very clean and that is one of the most important features I was looking for when I decided to utilize a pubic storage unit. It is also a huge benefit for me that they have long accessible hours especially since I work. If you are looking for a place to store your items, I highly recommend that you consider contacting them. Storing with them will be a good decision and you can rest easy that your belongings will be safe. Very great clean facility!! Ive seen in Pomona ca . great prices great access hours great security!! I would like to thank everyone one for being really nice helpful professional specifically Alex orozco one of the managers he is super nice friendly very knowledgeable and professional!!! He will take care of you no matter what i would rate him a 10 if possible I strongly recommend anyone who is in need of storage! To come here and deal with Alex!! Very clean! Facility great affordable prices! On storage spaces Alex was really awesome! He Made my day very professional knowledgeable friendly! Was greeted with a big smile!! Made me feel very welcome he Answer all of my intire questions and concerns I had about storage! Very patience I highly strongly recommend this facility to anyone who is need of storage! Alex treated us great and answered all my questions.. He told us all the info and discounts. Even gave me a nice hot cold bag.. I highly recommend this place. Very friendly and very professional staff. Teri was so nice helpful and thorough in explaining the rental procedures. I recommend this place to anyone who need a storage unit to rent. Clean facility. In and out. This place is ran by disrespectful, distasteful thieves. April and the rest of her trash. This place ripped my Mother off for over three hundred dollars. Said they don't have to refund her months rent (when she wasn't a tenant for even 24 hours). This is the rudest, most unprofessional group of girls I've ever come across. price going up very crazy. try to get away from this storage outlet pomona. The worst experience I've ever had. Don't answer calls. Spoke to juan and provided the worst customer service. So unhelpful. So unprofessional! Would not recommend this company to anyone. Pomona is a family-friendly city well-situated in Southern California. Hop on the 10 Freeway headed west and you’re in Santa Monica (just be sure to avoid rush hour traffic). Head east on the 10 and you can enjoy a poolside retreat in Palm Springs or skip up to Big Bear Lake or Lake Arrowhead. Take the 57 south and you’ll be in the OC in no time. All that to say, there is a lot to do within a short drive of Pomona. This means many Pomona residents have a lot of toys to store. In addition to the typical storage unit contents of refrigerators, beds, couches, and boxes of photos or tax returns, many Pomona storage units house jet skis, hiking boots and poles, snow clothes and gear, and of course beach umbrellas. Other Pomona storage facilities even have RV or boat storage to safe keep residents’ largest toys. 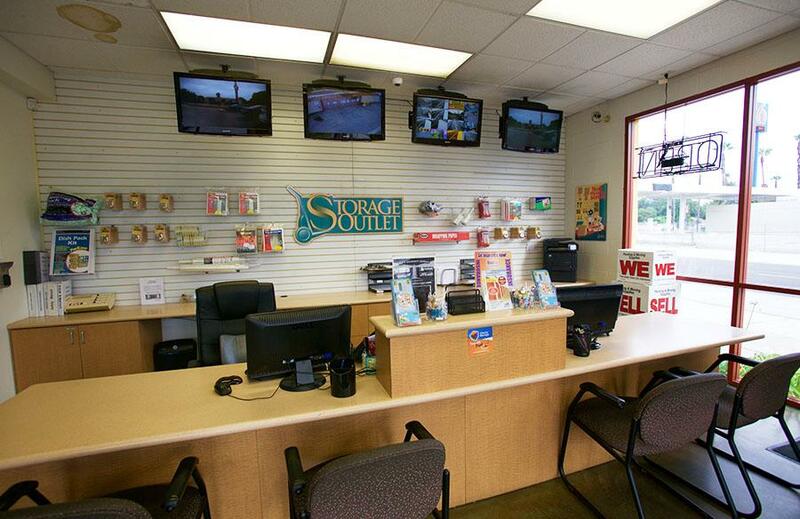 If you are a loyal Storage Outlet user, our nearest RV and boat storage locations are Fullerton [LINK TO FULLERTON STORAGE OUTLET] and Bellflower [LINK TO BELLFLOWER STORAGE OUTLET]. We are also happy however to refer you to a reputable Pomona storage facility with RV or boat spaces. Pomona is home to the Auto Club Raceway, famous for its drag racing. 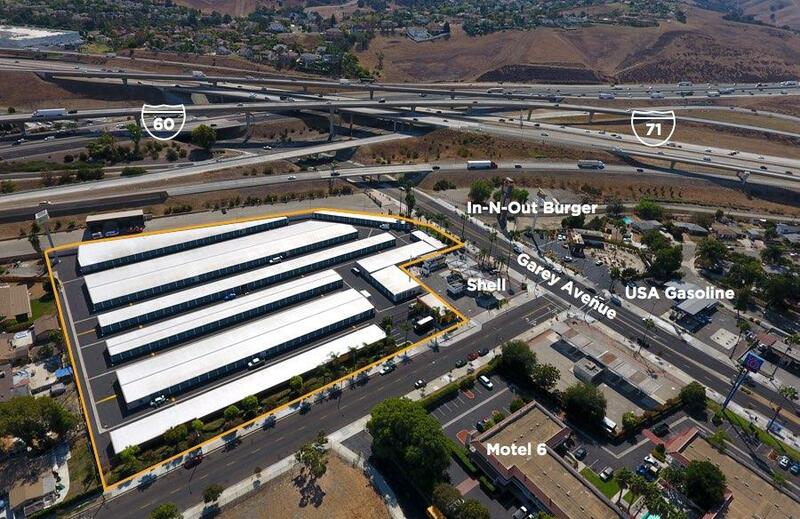 Consequently, Pomona self storage has a greater concentration of storage units with hot rods and other races cars than most parts of the country. Of course many Pomona storage units also house the tires, tools, and other parts used to maintain these, well, high-maintenance cars. The L.A. County Fair is also hosted in Pomona, so we’re confident many Pomona storage facilities have fair prizes, like those life-size bears dads try so hard to win (but moms don’t think match their home’s decor). Regardless of what you need to store, you can certainly find affordable Pomona storage. There are nearly 100 storage facilities in Pomona and the surrounding towns of Ontario, Montclair, Glendora, and Rancho Cucamonga, so you are sure to find a great storage deal in Pomona. While California has over 200,000 military members, Pomona does not have a large military presence. There are US Marine Corp recruitment offices near Pomona as well as US Army recruiting stations and Air Force Reserve recruitment offices. Pomona itself however, does not have any military bases. Pomona is however home to many vets, who have served in the Army, Air Force, Navy or Coast Guard. Just like the rest of America, many of these retired military members need storage units. On top of finding the most affordable Pomona storage, these vets can inquire about military storage discounts. When a military member selects a Pomona storage facility however, there is more to consider than simply price. Do you need a climate-controlled storage unit to protect paintings, expensive furniture, or musical instruments? Temperatures in Pomona can top 110 degrees on occasion. Do you need to access your storage unit during off hours? If so ensure you can get after-hour gate access and select a safe Pomona storage facility with enhanced security measures. Then of course there is location, location, location - and really this comes back to cost. Selecting a storage facility right in your backyard is convenient, but if you only need to access your self storage on occasion, then it probably makes sense to drive an extra ten to thirty minutes to find the best storage deal in Pomona. Pomona is a big of a college town even though “Pomona College” is not actually in Pomona! Western University of Health Sciences and California State Polytechnic University are both located in Pomona. Neighboring Claremont is home to the Claremont Colleges (the “5Cs”) which are the women’s college Scripps College, Claremont McKenna College, Pomona College, Pitzer College, and Harvey Mudd College. 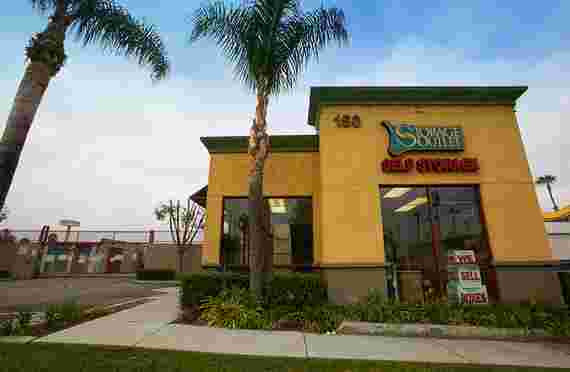 There is also Mr. San Antonio College in neighboring Walnut as well as University of La Verne in La Verne. That’s a lot of students within a small area! Outsmart other student self storage users with these helpful tips. 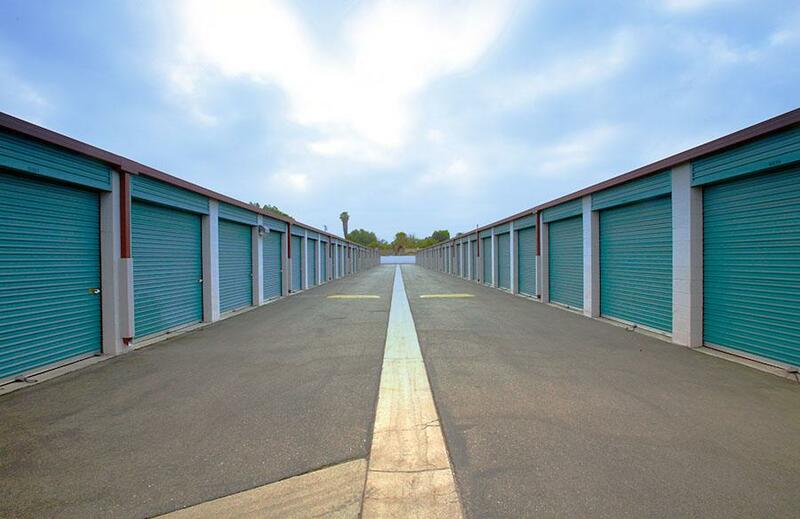 #1 Find the right Pomona storage facility. 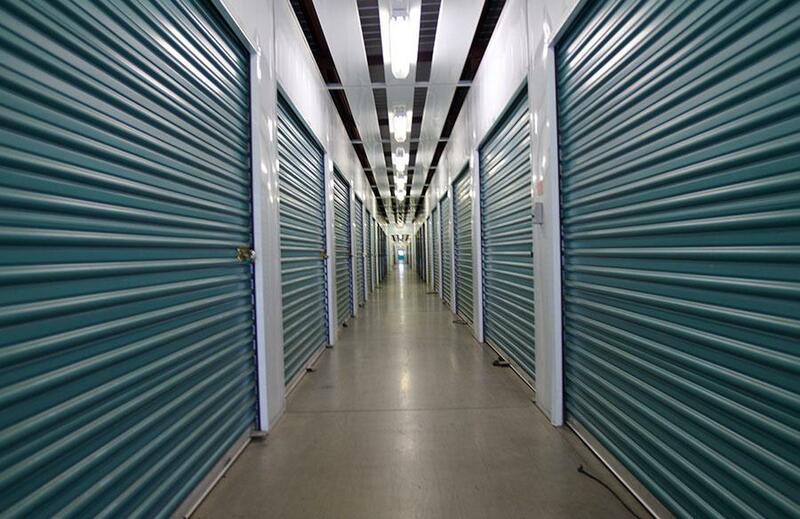 This means the best price for self storage, but also a clean facility with strong security measures. Also consider whether you need temperature-controlled self storage since not all facilities have climate-controlled units. To find the location that best fits your needs, compare locations on the Expedia of self storage, www.StorageFront.com. #2 Set up auto-pay. Admit it. We know you’ve watched Storage Wars. Enough said. Sign up to pay for your Pomona storage unit with auto-pay so you don’t see your stuff sold on reality TV. It might make for a funny story at frat parties, but you don’t want to lose everything you cared enough about to store for safekeeping. #3 Don’t keep things longer than you need. When you started college you may have dug tie-dye and lava lamps, but your taste might be more Ralph Lauren than Forever 21 by the time you graduate. Don’t pay to store things you don’t like or need anymore. That would be silly. You are not silly, you are an intelligent college student! Downsize to a smaller more affordable storage unit, or make room for future storage needs. #4 Donate unneeded items for the tax deduction. If you are a silver spooner you can ignore this self storage tip. However, if you’re working your way through college then you know there’s nothing worse than paying taxes. If you clean out unneeded items from storage, donate them to your Pomona self storage Charity Unit. Storage Outlet has a charity unit you can donate to (even if you don’t rent there) and your donation is tax deductible (be sure to get your charitable donation receipt! ).